For those of you who don’t know, civics is the study of the rights and responsibilities of citizenship and the study of government and how it works (Dictionary.com). In our formal education, it is rare that students take a course in civics. Instead, they learn only sparse bits and pieces of information pertaining to how government works. This slice of education is usually buried in US History textbooks and only mentioned as it relates to certain episodes in our history. In other words, our students are not taught how our government works. They are not taught how politics work. They are not taught how laws are created. They are not taught civics. Why should we learn civics? Do you know how a bill becomes a law? Do you know who appoints federal judges? Do you know who your local representative in Congress is? If you don’t know the answers to these questions then you probably should learn civics, or at least engage in the political process. A civics course would have helped with the answers to these questions, while providing a basis for understanding the political discourse in our country. I know a lot of people will say this doesn’t interest them. That’s fine, but regardless of your interest level, politics and decisions made by our elected officials affects our everyday life. If civics affects our daily lives, then why did they take civics out of the classroom? I do not necessarily believe in sweeping conspiracy theories, but I do believe in a slow, steady progress toward taking things away that are deemed unimportant or outdated. Civics is nether unimportant or outdated. So why have civics classes disappeared from our curriculum? I firmly believe civics is no longer taught in our schools because a certain percentage of the population must be kept in the dark about certain things. Another way of saying it is some people need to be uneducated. Uneducated people can be trained, molded, and pushed in a specific direction. They do not have the will or ability to resist. As it relates the government and civics, many people do not know the basics of government and how it should work. Therefore (if) they vote they do so without having enough knowledge to make an educated decision about the people and policies that shape our cities, states, and nation. They do not even know the importance of their individual vote. They do not know their local politicians. They do not know local laws and statutes. On top of that, they do not have the will or ability to learn. So here we are in 2018. The good news is a lot more people are waking up and learning more about politics and our elected officials. All of a sudden, people are aware of the President’s duty to appoint Justices to the Supreme Court. Those Justices interpret the legality of laws and can, in effect, overturn them if they are deemed unconstitutional. Don’t forget that these Justices have lifetime appointments, so their decisions could affect policy for 50 years! Now we must take things a step further. Either we demand that our students are taught civics in schools again, or become interested enough to learn on our own. Without a few civics lessons, we will continue to see a slow, but steady growth of people unaware of the workings of our government and our elected officials. We will have more people unaware of how laws are created and passed. We will have more people unaware of who their representatives are. We will have more people unaware of how government and politics affect their daily lives. I Wonder Why “They” Took Civics Out of the Curriculum? Is it to hide the truth? 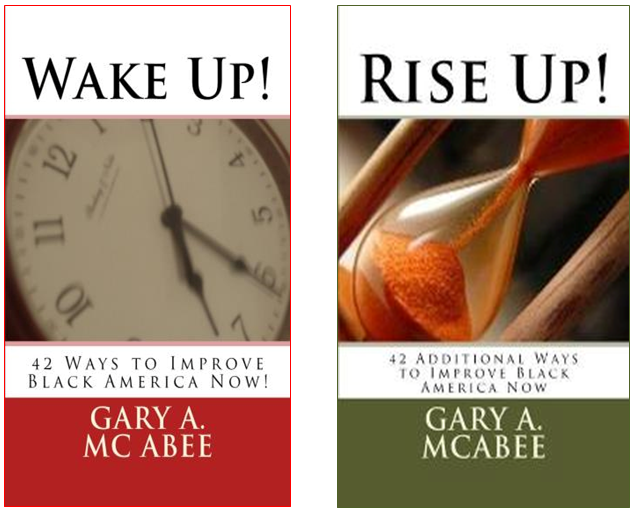 Gary A. McAbee created the Wake Up/Rise Up Black America blog to have a powerful voice and positive impact in African-American neighborhoods, communities, and society. The articles posted are not only for African-Americans, but for all people due to their relevance and cultural significance. Along with his other blog, Motivation for the World, Gary is able to get people talking about issues that affect us all. He is the proud author of three self-help books: Wake Up! 42 Ways to Improve Black America Now!, the follow-up Rise Up! 42 Additional Ways to Improve Black America Now! , and Defining Success: One Word at a Time. This entry was posted in Uncategorized and tagged America, Civics, Education, Government, Laws, Politics, POTUS, USA on July 20, 2018 by motivationfortheworld.